This handy little wrap features three inner pockets made from mesh for easy visibility of contents. Each pocket has a zipper closure-no need to worry about things falling out! A clear vinyl slip pocket on back and an expandable strap closure finish off the bag. Stash and Dash is perfect to use as an emergency car kit, first aid kit, organizer for supplies for sewing, cosmetics, or office. 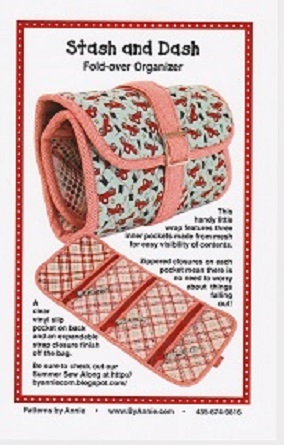 Kid’s quiet book, or purse organizer the possibilities are endless!